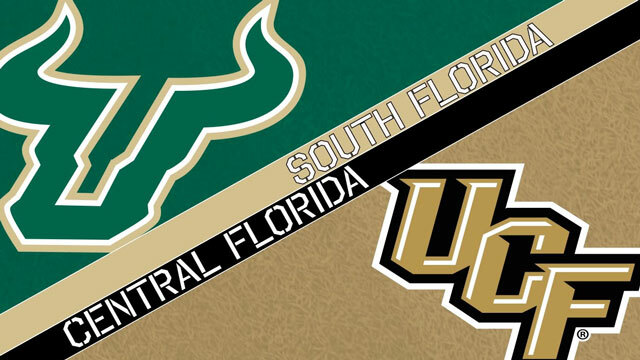 Discussion of the Big 12 Conference’s likely expansion – and what it might mean for the University of Central Florida and the University of South Florida – bring two conversations to mind. Outside the presidents and athletic directors of the 10 institutions that comprise the Big 12, anyone who claims to know what is going to happen is really just making an educated guess. The second conversation was an informal one that took place two years ago at a meeting of regional leaders. Todd Stansbury, then UCF’s athletic director, was hearing the Big 12 expansion rumors swirling at the time. Stansbury felt the rumors then were false, and he seemed to want to tamp down expectations among UCF fans. 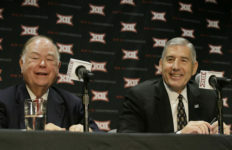 Stansbury pointed out the Big 12 had recently downsized to 10 members and had a financial incentive to stay that size. The fewer conference members dividing the revenue, the larger the payout per school. A lot changed across the last two years. 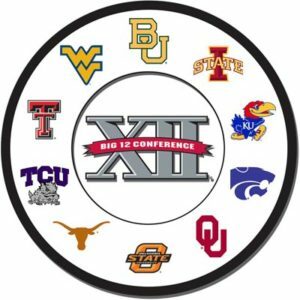 First, the Big 12 announced earlier this summer it is actively considering expanding to 12, and possibly 14, teams. A decision could come before the beginning of the current academic year. Of equal importance, both UCF and USF are making it clear they’d be interested in joining. So are 16 other schools, ranging from national brands such as Brigham Young University to schools like the University of Houston that have a profile within the Big 12’s existing regional footprint to head-scratchers like Arkansas State. UCF and USF fall into another category. They and many of the other candidates are schools with past athletic success in notable metropolitan areas that would like the opportunity to move into the highest echelon of college football: membership in one of the so-called “Power 5” conferences (Atlantic Coast, Big Ten, Big 12, Pacific-12 and Southeastern). 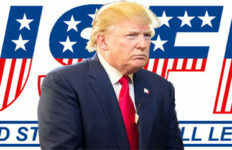 Both UCF and USF currently are in the American Athletic Conference, one of the “Group of 5” conferences (Conference USA, Mid-American, Mountain West and Sun Belt are the others) that also play in the NCAA’s Football Bowl Subdivision. 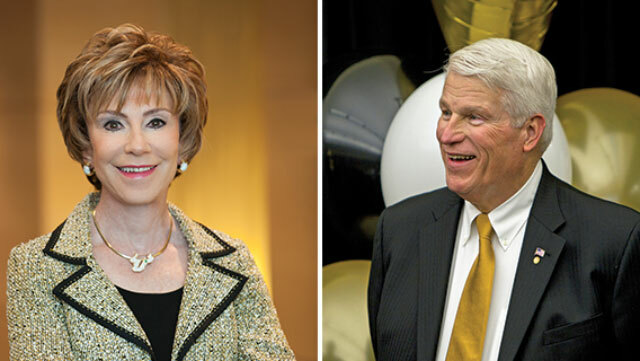 Presidents Judy Genshaft, USF, and John Hitt, UCF, make their cases to join the Big 12. There’s more money in the Power 5, which obviously is attractive to UCF and USF and should be to economic development leaders in the Orlando and Tampa Bay areas as well. In response to a public records request, USF officials provided FORWARD Florida with a copy of the materials the school provided the Big 12. The centerpiece is a striking case statement – featuring USF System President Judy Genshaft and Board of Trustees Chair Brian Lamb – that focuses heavily on USF’s academic credentials. The brochure goes on to note that the average USF student’s high school GPA is 4.08, the average SAT score is 1223 and the average medical student’s MCAT is 34. The case statement notes that the SAT scores, spending on research and development, student retention rate, graduation rate and doctorates awarded all would place it in the top half of the Big 12. The website SB Nation obtained, also through a public records request, a copy of a 13-page document UCF President John Hitt sent his counterpart at Oklahoma State University (a Big 12 member) highlighting the Knights’ case. Hitt focused on UCF’s attractiveness to prospective students and the advantages of the Orlando area. In his cover letter, Hitt wrote that Orlando is “the fastest-growing city of the 30 areas that have an employment base of at least 1 million jobs” and that the “area’s population will grow by about 500,000 over the next 10 years.” He pointedly noted that this is “six times the projected growth of the Cincinnati area and 500 times the expected growth of the Hartford region.” Those two metropolitan areas are, not coincidentally, home two two other schools seeking a spot in the Big 12 – the University of Cincinnati and University of Connecticut. Along with the letter, Hitt enclosed a brochure highlighting the school’s and region’s many advantages. 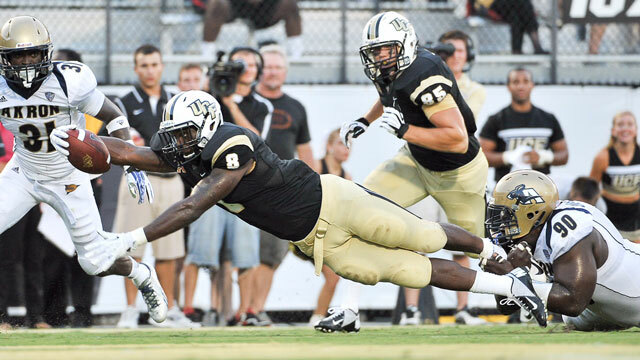 Photo Credit: UCF Athletics Communications. There is potential synergy between the two schools’ bids. A Tamps Bay Times columnist this summer also urged USF and UCF to work together for admission into the Big 12. It’s a valid idea, as it could be in both schools’ interest to work together to point out why a pair of Florida members would help the Big 12. As noted earlier, the financial implications are huge. When the College Football Playoff (CFP) began after the 2014 football season, the Power 5 claimed almost all the goodies for themselves. The system is set up to virtually lock up the four CFP slots for Power 5 members, with only one spot in the “New Year’s Six” bowls (Rose, Cotton, Sugar, Orange, Fiesta and Peach) guaranteed to a Group of 5 member – the highest-ranking champion from among those conferences. In theory, more than one Group of 5 member could make a major bowl game, and one conceivably could make the CFP, but don’t expect either occurrence to happen often, if ever. Between the CFP and more lucrative television contracts, Power 5 conferences have far more money. The Big 12 in 2014-15 paid member schools $25.3 million each. By contrast, the Virginia Pilot reports that the American will pay its schools an average $2 million. That’s more than enough in terms of incentives. 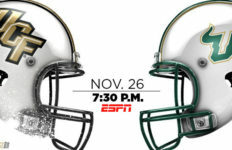 Do UCF and USF have what it takes to become a Big 12 member? Keeping in mind that only the Big 12 presidents really know what is going on, in our second part, we’ll make our own educated guesses about the Big 12 expansion process.